Investors and analysts throw around the term “Fed” without much reflection on what the Federal Reserve actually is and is not. It’s important to understand the Fed’s structure as a prelude to understanding its policy process. Knowing how the central bank is organized and who’s in charge can position you to preserve wealth and even profit from the coming Fed-induced turmoil. 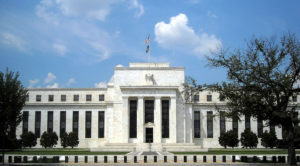 The Federal Reserve is not a single central bank, but a system of twelve regional reserve banks under the supervision of a board of governors in Washington DC. This central body is called The Board of Governors of the Federal Reserve System. It has a chairperson, currently Janet Yellen, and a vice chairperson, currently Stanley Fischer. In addition, there are five other governors for a total of seven people on the board. 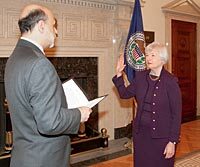 Right now, there are two vacancies (and no pending nominees to fill the vacancies), so the entire board consists of five individuals: Yellen, Fischer, Lael Brainard, Daniel Tarullo, and Jerome Powell. The chair, vice chair, and governors are nominated by the president of the United States subject to Senate confirmation. Governors serve fourteen-year terms (although many resign from the board before those terms expire). The chair and vice chair have four-year terms, and concurrently serve fourteen-year terms as governors. It’s unusual for a chair to remain as a governor if not reappointed for a new term as chair, but it has happened. While the board of governors oversees the “system,” they are not in charge of any particular bank. 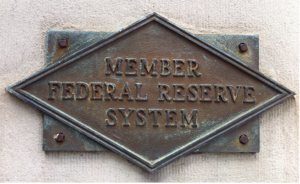 The banking is left to the twelve regional reserve banks located in major cities such as Boston, New York, Philadelphia, Chicago, and San Francisco. The reserve banks are privately owned by the commercial banks in each district. For example, Citibank and JPMorgan are shareholders in the Federal Reserve Bank of New York because those banks have their headquarters in the Fed’s Second District, which includes New York. Since the regional reserve banks are privately owned, they elect their own boards of directors based on voting by the private member banks. In turn, these boards hire the president of each bank. This has sometimes given rise to charges of conflict of interest because shareholders are, in effect, hiring their own regulator. It’s Just Business As Usual At The Fed. This conflict came to a head with the hiring of William Dudley as President of the Federal Reserve Bank of New York. Dudley is a former partner with Goldman Sachs. The New York Fed has direct supervisory authority over Goldman. Stephen Friedman, another former Goldman partner, was Chairman of the Board of Directors of the New York Fed at the time Dudley was hired. The conflict is obvious, yet little was said or done about it. The set-up of twelve regional reserve banks is a throwback to a time when business conditions varied widely in the United States, and news traveled slowly. In 1915, a few years after the Fed was created, it was entirely possible to have tight money in Kansas City if drought conditions prevailed and farmers were failing to meet mortgage commitments. At the same time, there could be easy money in Boston if exports of manufactured goods were producing gold inflows. 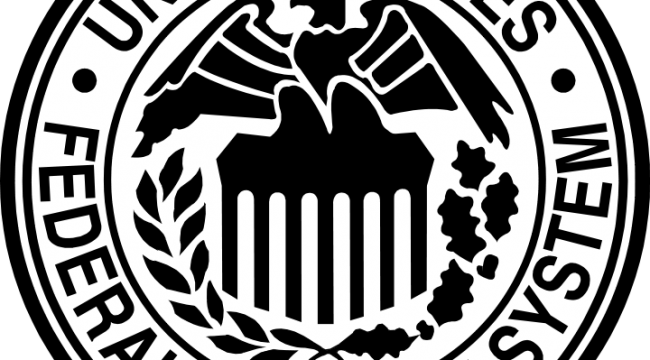 The president of the Federal Reserve Bank of San Francisco might bring news of immigration patterns that affected labor market conditions. Each regional reserve bank could set its own discount rate to reflect local conditions and implement monetary tightness or ease as needed. Today, This History Seems Quaint. News on business conditions travels instantaneously. Technically regional reserve banks can vary their discount rates, but this never happens in practice. Banks borrow in the Fed funds market, and if slight differences in rates emerge, they are arbitraged away immediately by computer driven trading. Nevertheless, the structure of twelve regional reserve banks continues. This means that twelve regional reserve bank presidents dutifully descend on Washington for each Fed meeting even though they have little to offer except their own opinions based on obsolete models. There is one exception to this description of the regional reserve bank presidents. That exception is the president of the Federal Reserve Bank of New York. While interest rate policy decisions are made in Washington, they are carried out by the open-market trading desk in New York. This gives the New York Fed unique power to affect money markets that the other regional reserve banks do not have. That’s the basic arrangement. You have a Board of Governors in Washington who have power, but no bank. You have eleven regional reserve banks around the country who are privately owned, but have little power. Finally you have one regional reserve bank in New York that is controlled by the largest private banks, has considerable market power, but carries out the wishes of the Board. If you think this sounds convoluted, you’re right. Rube Goldberg could not have done a better job of designing a system that makes no sense. Yet, much of this convoluted design is intentional, and is intended to obscure the real workings of monetary policy from everyday Americans. When conspiracy theorists and bloggers get carried away, they point to the big bank cronyism that emerges from this system. Elites like that just fine because the conspiracy mongers are easy to dismiss. Ed. Note: Sign up for your FREE subscription to The Daily Reckoning, and you’ll start receiving regular offers for specific profit opportunities. By taking advantage now, you’re ensuring that you’ll be financially secure later. Start right away.